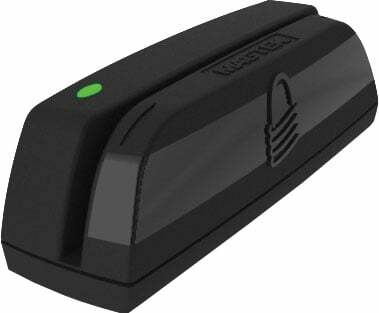 For customers that want both security and ease of use, the MagTek Dynamag Secure Card Reader Authenticator (SCRA) is MagneSafe secured and offers a reliable and convenient swipe path with complete security features for the peace of mind you can trust. Specifically designed to meet PCI DSS requirements to secure cardholder data, the Dynamag employs the industry standard, Triple DES encryption. The Dynamag is USB powered. This bi-directional SCRA conveniently makes any existing merchant application more secure. The MagTek 21073075-TRUSTCOMMERCE is also known as Mag-Tek	21073075-TRUSTCOMMERCE	or 21073075TRUSTCOMMERCE	.